BBK remains dedicated to building the highest quality sophisticated equipment for the serious paddler. BBK started out in the early 1980s as a hobby. There was no pressure to go into production or amortize production tooling. Most kayaks on the market today are one-off designs that went from a single prototype to a mold to production. BBKs small line of kayak designs is the result of literally dozens of prototypes. Based on the southwest Greenland hunting kayak proven over centuries, each model underwent several changes to fine tune its performance. This was made possible by our unique building system that permitted changes to the hull shape to be made quickly and inexpensively. Since optimizing our designs, we have concentrated on continually improving the quality of our construction — better strength-to-weight ratios, improved rigging, friendlier seating, and more durable finishes. Our latest innovations in the building process have taken days off our former construction schedule, making BBK kayaks available to more paddlers than ever before. 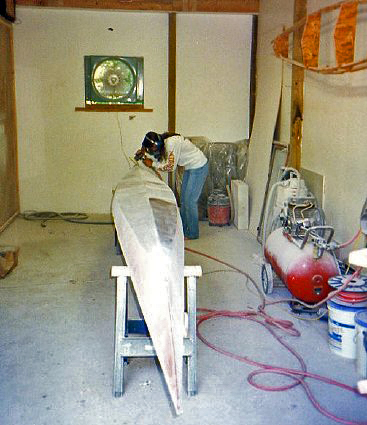 Wood/epoxy/glass construction allows us to build a stronger, lighter kayak than any other material currently available. While it is true that some manufacturers may boast slightly lighter weight hulls using Kevlar, carbon fiber and exotic resins, these boats are fragile compared to our wood/epoxy construction. 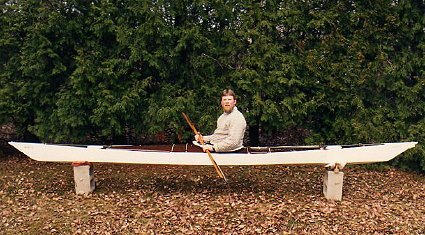 We will match any exotic, lightweight composite kayak on a strength to weight basis. If you are sick of lugging around a kayak that is nearly half your own weight, or if you are tired of needing help just to get your kayak on and off your roof rack, we have the solution. The esthetic appeal of our kayaks is certainly not to be overlooked either. The graceful symmetry of the Greenland design combined with the beauty of natural wood makes owning a BBK a special pleasure. Many of our customers ''complain'' that they attract attention everywhere they go with their BBK kayak, even from non-kayakers commenting on the beauty of their craft. After decades of building the best touring kayaks, we are dedicated to remaining a small specialty shop. We have no plans to sell out to a mega-corporation or cash in on the beginner market. We take pride in our designs and meticulous craftsmanship.